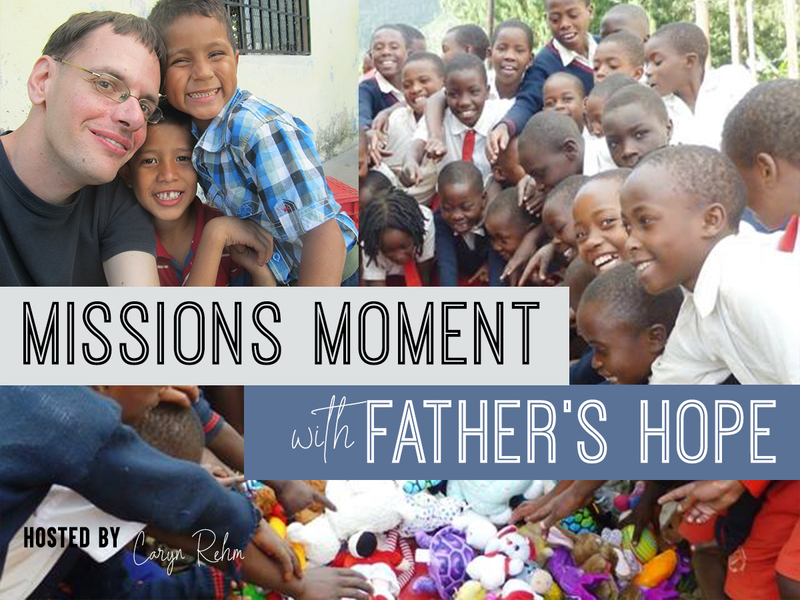 Featuring Kevin Mertz, Director of Father’s Hope. Founded in 2012, Father’s Hope is a nonprofit organization that supports projects at orphanages they directly partner with. They also ship or personally deliver fun items, and items of comfort, such as small stuffed animals, coloring books, crayons and jump ropes, to orphanages and children in need of feeling loved around the world. God placed the idea for this outreach on Kevin’s heart after visiting an orphanage in Choluteca, Honduras, while on his first mission trip in June 2011. During that visit, a precious little boy sat down on his knee and would not leave his side during the mission team’s visit to the orphanage. The boy never knew it, but he changed Kevin’s life in so many ways and is the inspiration for this outreach.